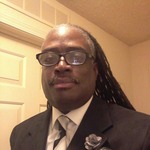 Mark Sellers received his Masters of Social Work from the University of South Carolina (USC) in 2005. Mr. Sellers has over 15 years of experience working with persons living with HIV/AIDS/and at risk for acquiring HIV. Mr. Sellers is currently employed by the University of South Carolina (USC) Department of Internal Medicine (Immunology Center) as a Medical Case Manager, and supervisor of the TROY (Transitioning, Retaining, Orientating, Youth) program for young persons living with HIV/AIDS 18-25 years old. Mr. Sellers also has extensive work experience with incarcerated individuals and persons with substance abuse challenges. Mr. Sellers is the Director of the Men’s Reentry Initiative (MRI) which seeks to reduce the high rates of recidivism in Richland County. MRI has been in existence since 2012. Facilities that implement MRI are Alvin S Glenn Detention Adult population (Men & Women), Alvin S Glenn Juvenile Division, Broad River Department of Corrections, Manning Pre-Release Correctional Institute, and Lee County Corrections.